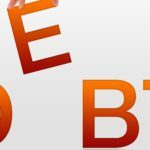 Debt settlement companies are for-profit, multi-million dollar businesses that typically promote their services as debt consolidation “programs”. Debt settlement companies sell their services by stating that they can significantly reduce their client’s credit card balances by negotiating with creditors to achieve a lump sum settlement. Typically, debt settlement companies advertise that they can save consumers up to 50% off their credit card balances and insinuate that their client’s credit won’t be damaged. In a way, they are like a wolf in sheep’s clothing. They attempt to market their services as a way to help consumers pay off their credit card debts and help them to maintain or rebuild their credit. In reality, these companies charge significant fees (that they disclose in small print or often make difficult to understand) and often severely damage their client’s credit. Debt settlement companies often advertise on television but their biggest marketing presence is through direct mail advertising. When using this type of advertising (which might even be managed by lead generation companies), the debt settlement companies often try to use envelopes that look like they are government-issued or sometimes they design the mailings to look like they contain a check to pay off debts. They also often try to sound like they are part of a government-sponsored program or are a non-profit credit counseling service. Debt settlement companies often use direct mail campaigns to avoid telemarketing restrictions issued by the FTC. The Telemarketing Sale Rule contains many restrictions as to how and when a party selling “debt relief services” can charge a fee. Most Debt settlement companies have abandoned using the telephone to sell their services, so instead they bombard consumers with mailings. On the bottom of most of these marketing letters or on the bottom of the screen in their television commercials, they list the fine print disclaimer language. Why is the type so small? Because they do not want you to read it. 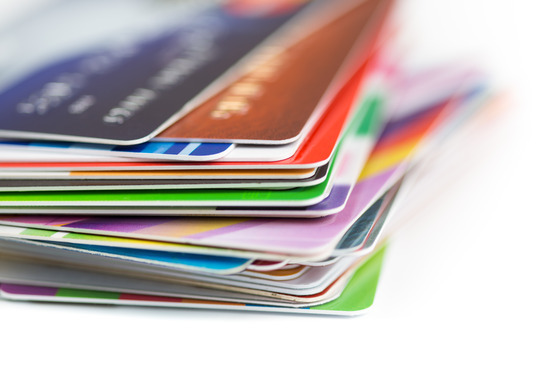 Debt settlement companies say they can save consumers up to 50% off their credit card balances. However, the fee for their services is typically 20% of the total balance being negotiated plus there are additional costs such as enrollment fees and monthly maintenance fees that leave the consumer with a net savings of a maximum 30% at best. Reducing the savings even further, the consumer can potentially owe taxes because creditors are required to issue a form 1099 for any forgiveness of debt over $600. The IRS views this as potential income. Debt settlement companies advertise that their debt settlement “programs” take approximately 36 to 48 months. During this time, the consumer is supposed make monthly payments into an escrow account controlled by the debt settlement company in order to build up enough of a reserve to settle one debt at a time. However, because creditors are not being paid, the consumer’s accounts will be put into collection. The consumer will typically experience seemingly constant collection phone calls and letters demanding payment. Eventually, many creditors will sue the consumer for non-payment. Consumers will be forced to defend against these lawsuits on their own, or for an additional fee some debt settlement companies will offer an outside attorney. If the creditor is able to obtain a judgment, they can use remedies such as bank levys (frozen bank account) and wage garnishments to collect the judgment (an amount much higher than the original balance at the time the debt collection company was engaged). Although some of the accounts may get settled and paid (typically the smallest debts first), debt settlement “programs” usually fail because they take too long. Eventually, the consumer finds that they simply can’t afford the monthly payment. The lawsuits, plus the debt collection calls and letters, and potential garnishments make these debt settlement programs not worthwhile. Adding insult to injury, once the consumer decides that they can no longer afford the monthly payments, it is highly unlikely that they will be given a refund if they request one. The company will generally argue that their services were rendered and there is no balance to be refunded. Finally, when the consumer gets to the point of disengaging from the services of a debt settlement company, they often find that their credit has also been devastated. The stories of some of the more infamous debt settlement companies like Morgan Drexen, World Law Group or Mission Settlement Agency continue to pile up. Morgan Drexen was sued by the Consumer Finance Protection Bureau (CFPB) for running deceptive advertisements and charging illegal upfront fees. The company was shut down this past June when a federal court ruled that Morgan Drexen broke the law. World Law Group was recent sued by the CFPB for fraudulently charging consumers thousands of dollars in fees before performing any services. They promised their customers they would receive legal representation if creditors sued them. This was a lie. Mission Settlement Agency was shut down by the federal government in 2013. Its owner was sentenced to nine years in prison for what amounted to a fraud scheme that victimized approximately 1,200 people by taking $2.2 million in fees without paying anything to creditors. Recently, one of our clients came to us after she had hired a debt settlement company. Before she came to our offices, she was solicited by a debt settlement company through direct mail. She hired the company when they told her she should not file for bankruptcy, because it would ruin her credit. As she made her monthly payments, our client was sued by multiple creditors and had to go to court alone, without any representation or help from the debt settlement company. To make matters worse, our client then lost her job. Despite knowing this, the company continued to collect a monthly payment of over $400.00 for debt settlement services even though she could not afford to pay it. Thinking that her financial problems would soon be solved, our client borrowed from family and friends to continue paying the monthly fee. Eventually, she reached the point where she could not afford the monthly fee and she contacted our office. Since that time, she has filed for bankruptcy, her debts have been discharged and she can now focus on rebuilding her credit. Finally, let’s compare this debt settlement process with Chapter 7 bankruptcy, which is a legal way out of debt. When filing a bankruptcy petition, debtors receive the benefits of the automatic stay, which prohibits any further collection activities of their creditors, including lawsuits, garnishments, frozen accounts, and foreclosure sales. The bankruptcy process is relatively quick. It takes approximately 5-6 months, compare that to the 36 to 48 months required for debt settlement “programs.” Finally, most people who file bankruptcy are able to start rebuilding their credit almost immediately obtaining a discharge from the Bankruptcy Court. Taking this all into account, bankruptcy is the wiser choice in most circumstances. If you have any questions about debt settlement or bankruptcy, please feel free to contact our office for a free consultation at 888-529-9600.